This delicious ham casserole is adapted from a favourite old recipe of mine – where I would boil the ham joint whole to make a stock, before shredding it into the casserole. This faster version is no compromise, making a delicious hearty dinner in less than half the time. 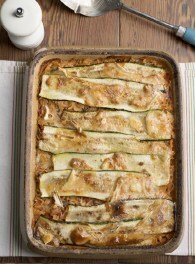 For an extra special twist, serve with crusty bread topped with melted cheese and green vegetables. Dice the ham or bacon and peel and chop the onions. Put into a frying pan with the oil and fry on a medium heat, turning to seal the meat on all sides. Leave to cook through for about 20 minutes, stirring occasionally. 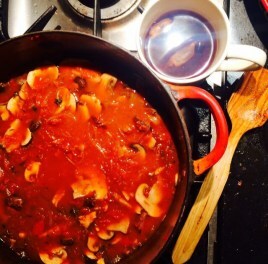 Meanwhile, pour the stock and wine into a saucepan and put on to a simmer. Finely chop the parsley and mint, including the stalks, and add to the pan. Wash and dice the potatoes and carrots, leaving the skins on, (or drain if using tinned ones) and put into the saucepan. 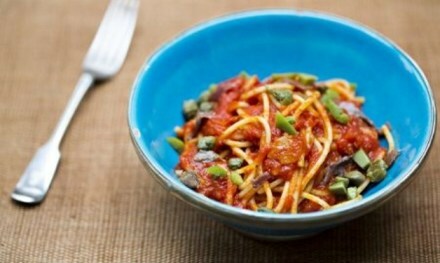 Cook until the vegetables are tender – around 15 minutes for small pieces of fresh veg or barely 5 minutes for tinned. Once they’re done, remove about half the potatoes from the saucepan and place in a blender. Add just enough of the stock to cover, and blend until smooth. Tip back into the pan and stir through. When the ham or bacon is cooked, toss everything in the frying pan into the saucepan along with the frozen peas. Stir and cook through for a few final minutes until the peas are tender, then serve. Basics cooking bacon £1.15/670g. Basics onions 90p/1.5kg. Sunflower oil £4/3l. Basics chicken stock cubes 25p/10. Basics apple juice 70p/1l. Fresh parsley 80p/28g. Fresh mint 80p/28g. Basics tinned potatoes 20p/345g drained weight. Basics tinned carrots 20p/160g drained weight. Basics frozen peas £1.40/1.2kg. Photograph by Susan Bell, for A Girl Called Jack. My new book, Tin Can Cook, is available to preorder now. Cooking on a Bootstrap can be purchased here. Sounds delicious! Will give it a try. 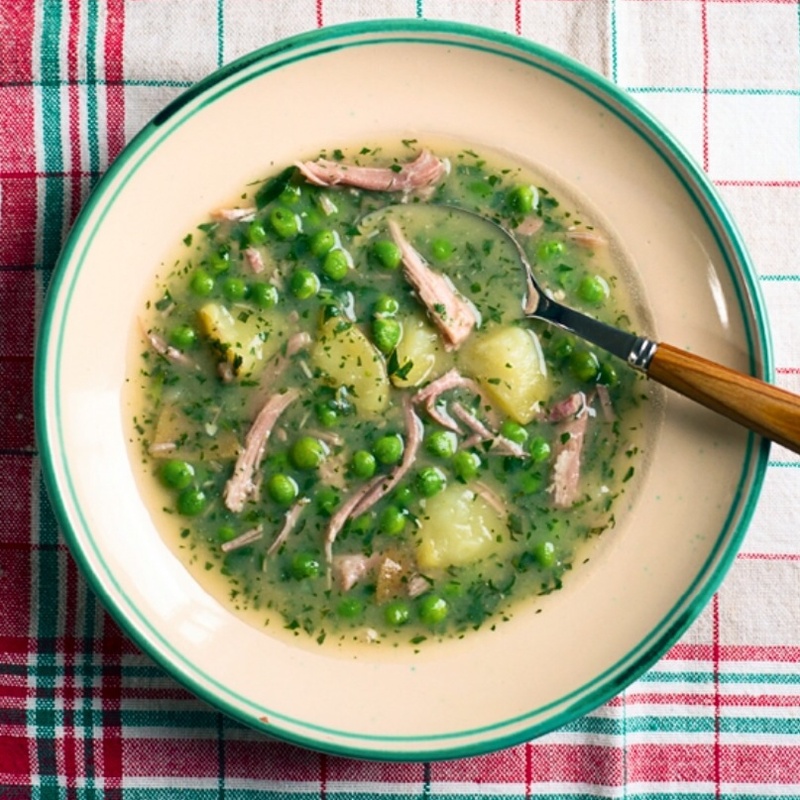 I love the classic pea and ham, but adding potato and mint instead sounds great, I’ll have to give it a try. This is brilliant. The mint provides a very distinct flavour. And the apple juice a perfect compliment to the mint. This ones cookin’ up again when casserole season is in.